"RPG mixed with tower defense." 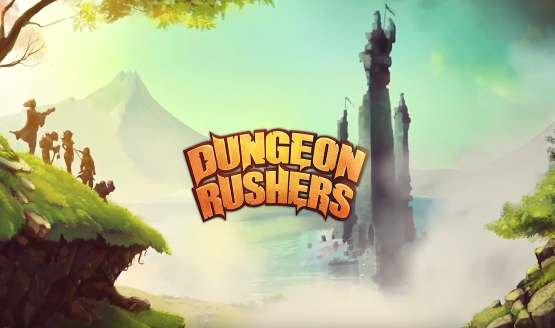 Goblinz Studio is glad to announce their PC only game Dungeon Rushers will be making its way to Switch, PS4 and Xbox One on the 25th of May on the first anniversary of it release on Steam. Dungeon Rushers is a Heroic-Parody tactical RPG combining dungeon crawler’s gameplay and turn-based fights. Dive in an off-beat universe, manage your team and craft mighty gear to equip them! Build your own dungeon by hiding traps and monsters in your galleries, and then challenge other players to clear it. Some main features of the game include a campaign full of humor with various sound and graphic environment, unique interactive exploration system with revised turn-based fight, advanced team management (equipment, skills upgrade, crafting, etc), and high replay value with a Heroic difficulty for each dungeon.